A decision by the UN Security Council to lift sanctions it imposed nearly a decade ago against Eritrea should have a positive impact on foreign investment and enhance international trade opportunities, leading to improved economic outcomes for the people of Eritrea, said potash mining company Danakali chairperson Seamus Cornelius. Potash mining company Danakali and other mining firms welcomes the decision by the UN Security Council to lift a nearly decade-old sanctions on Eritrea saying the decision will have a positive impact on foreign investment and enhance international trade opportunities to give an economic boost to the country. “This significant step should have a positive impact on foreign investment and enhance international trade opportunities, leading to improved economic outcomes for the people of Eritrea,” Danakali Executive Chairman Seamus Cornelius said in an emailed statement. He also congratulated the Eritrean people for their exceptional resilience and determination over many years. “I offer my congratulations to the Eritrean people on this achievement and for their exceptional resilience and determination over many years,” said Cornelius. It has been several years since the United Nations has offered any evidence to support such claim against Eritrea. Danakali operates the Colluli potash project in Eritrea. Danakali, which has worked in Eritrea since 2009, finalized a deal to sell its potash and also listed in London in July, barely a month after Ethiopia under new Prime Minister Abiy Ahmed launched a rapprochement with Eritrea to end decades of hostility. Miners said even before the sanctions lifting announced on Wednesday, sentiment towards the region had improved. 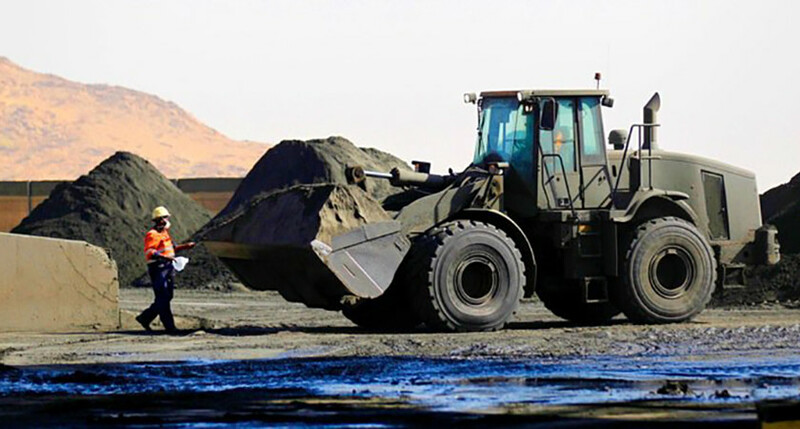 Junior explorer Altus Strategies, which has been working on copper and gold projects in Ethiopia since 2010, said mining interest in both Ethiopia and Eritrea had increased and it had sent a team to assess opportunities in Eritrea. Altus Strategies CEO Steven Poulton said, the mining sector was likely to remain under pressure from investor reluctance following the commodity market crash of 2015-16 and the excessive overspending of the bull run before it. However, the sanctions lifting was clearly “excellent news”. “This creates a window of opportunity for exploration companies who have the means and proven capability to explore in this part of the world,” he said. Danakali’s Australian-listed shares, which have bucked the trend to rise around 11 percent this year, gained more than 3 percent on Thursday.